Even the Buffalo Niagara region's hardiest winter enthusiasts are likely to have their mettle tested this week. Record-breaking cold is forecast in Western New York by midweek. 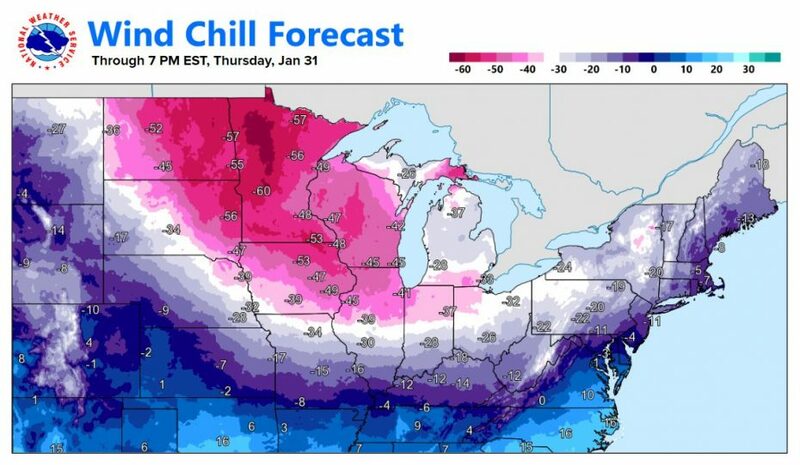 Wind chills could be dangerously cold. And there could be more lake-effect snow, too. A winter storm watch is posted from Tuesday afternoon until late Thursday for Erie County, including metro Buffalo, along with Genesee County and Wyoming County. 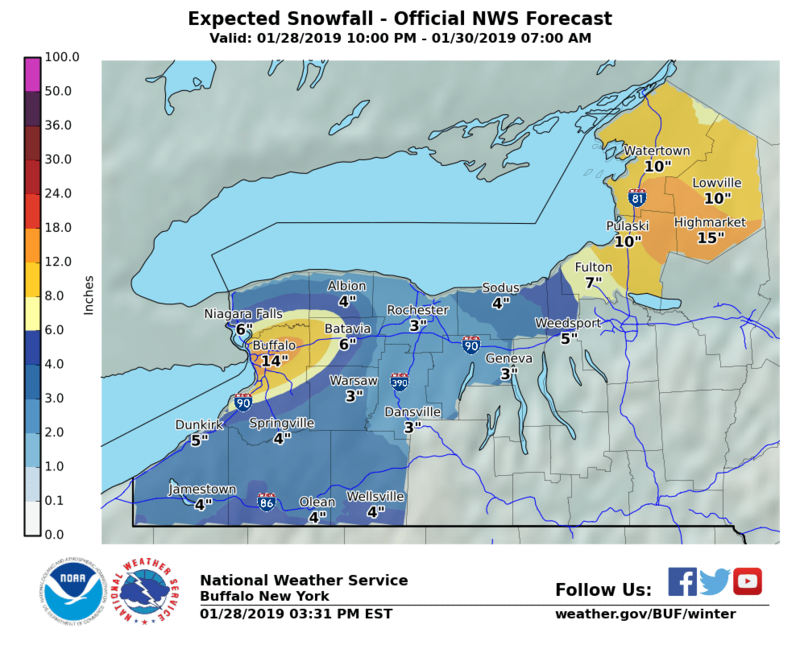 More than a foot of new snow is expected to fall in metro Buffalo by early Wednesday on top of the 20 inches that came from lake-effect snow storms late last week. "Heavy lake-effect snow is possible," the weather service said. "Total accumulations of 1 to 2 feet are possible in the most persistent lake snows." The weather service added: "Winds could gust as high as 45 mph later Wednesday through Thursday, which may produce near blizzard conditions with severe blowing and drifting snow." Chautauqua County and Cattaraugus County are also under a winter storm watch Wednesday afternoon to Thursday evening for much of the same forecast conditions. "Travel could be very difficult to impossible, especially Tuesday night through Thursday due to heavy snow and significant blowing and drifting snow," the weather service said. The warmest part of the week – in the 30s – is expected to last from about 8 p.m. to 8 a.m. Tuesday, weather service forecasts show. Today is expected to be a mostly cloudy day with chances for snow showers starting in the afternoon with an approaching storm system. Temperatures are expected to increase throughout today and overnight. At noon, the temperature in Buffalo was 13 degrees. It should increase into the upper 20s by dinnertime and the 30s overnight ahead of a cold front that's expected to cross the region early Tuesday. That will help to bring moderate to heavy snow across Western New York overnight into Tuesday morning. Forecasters said southwesterly winds gusting near 30 mph will create areas of blowing snow. "A potentially significant lake-effect event off of Lake Erie will start Tuesday afternoon with the potential for more than a foot of snow accumulation," the weather service said. Tuesday's daytime high will likely come closer to dawn, forecasts show, with temperatures tailing off throughout the day from the lower 30s down into the teens by early evening, and then the single digits overnight Tuesday with gusty winds and more snow and blowing snow expected. The set-up will help to generate southwesterly winds. The significant cold air behind the front combined with the still-open waters of Lake Erie will bring the potential for significant lake-effect snows into metro Buffalo. "A band of light to moderate lake-effect snow should start to take shape by the early to mid-afternoon on Tuesday off of Lake Erie," the weather service said. Then, the real cold comes. A pocket of frigid air, connected to a lobe of the polar vortex, is expected to affect Western New York, driving temperatures down into the single digits for highs Wednesday and below zero Wednesday night with more lake-effect snow expected throughout the day into the overnight. "This will bring increased chances for blowing snow and bitterly cold wind chills and blizzard conditions," the weather service said. Forecasts show wind chill temperatures are expected to dip below zero late Tuesday night with wind gusts of near 30 mph. 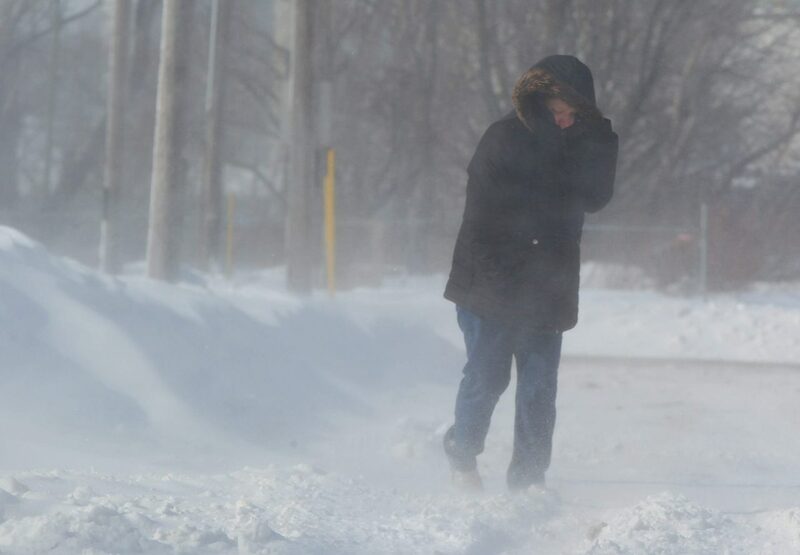 The wind gusts – and subzero wind chills – are expected to remain in place until Friday. The weather service forecasts snow on Wednesday with a high of 5 degrees. That's 26 degrees colder than average for the date and would break a record low of 8 degrees for a daily high temperature set in 1948. "West-southwest flow will lead to a lake response during this time with snow showers northeast of the lakes Wednesday," the weather service said. "It won't be until Wednesday afternoon and evening that another clipper moves into the upper Great Lakes and the lake response intensifies east of the lakes by Thursday morning." Wind chills are expected to run between minus 20 and minus 30 degrees Wednesday and Wednesday night. Forecasts show overnight lows Wednesday will be below zero. Wednesday's mark for a daily record low is minus 3, set in 2003. Snow showers – and "potentially heavy lake-effect snow" – remain in the forecast Thursday, Thursday night and Friday, the weather service said. "The only thing that will complicate things will be the growing ice coverage on Lake Erie," the weather service said. "This will not be a concern on Lake Ontario." Thursday's high is pegged at 7 degrees. (The daily record low high temperature is 5 degrees, set 99 years ago.) Thursday's overnight low should be near 1 degree, forecasters said. Friday's temperatures are forecast in the lower teens during the day and single digits overnight before things finally start moderating some by Saturday with expected highs in the 20s, the weather service said.